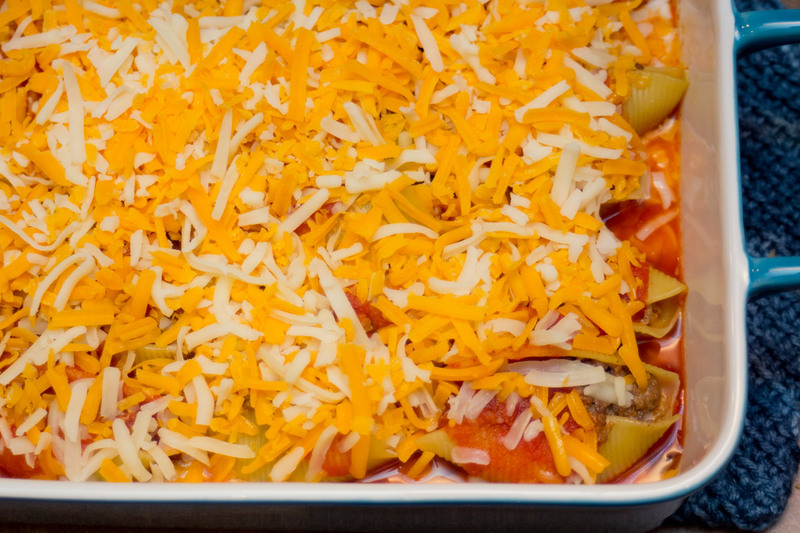 This Bachelor Cooking recipe captures the delicious flavor of a taco and transports it to an entirely new arena using jumbo pasta shells as a vehicle. This meal is fancy enough for a dinner-date in; and is easy enough to make for a whole group. 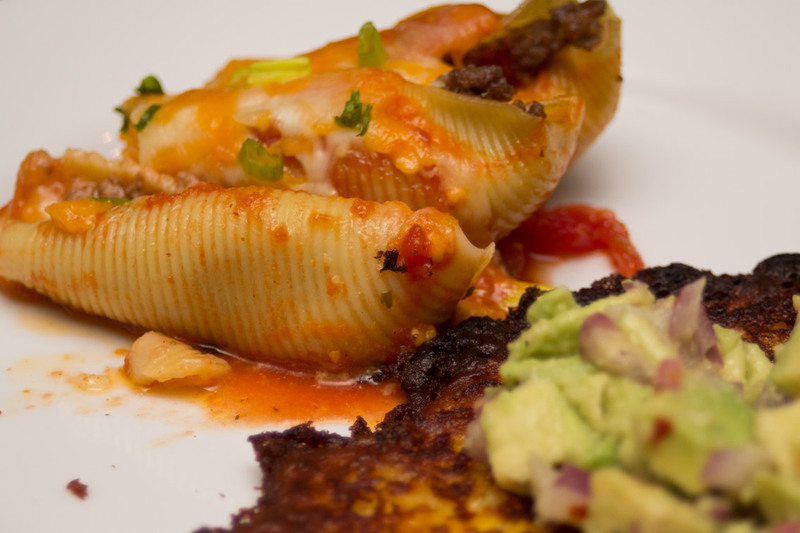 Follow these steps below to make Mexican Stuffed Shells (aka: Pasta Taco). In a large pot boil water to cook the noodles following the directions on the box (should be 9 minutes in a rolling boil). 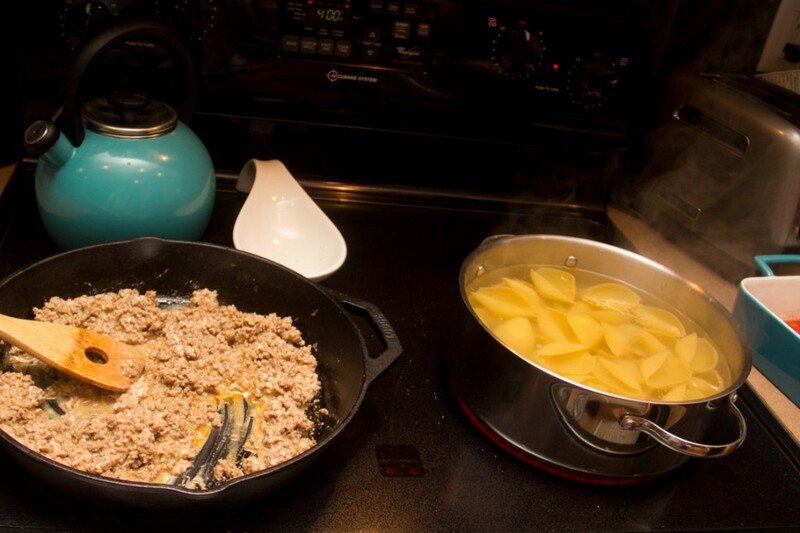 While the water boils and noodles cook, brown the ground beef in a pan on a medium/medium-low heat. Once the noodles are cooked drain them and set them out on a cutting board so they aren’t touching (so they don’t stick to each other). Mix in the spices (salt, pepper, & cayenne) and the cream cheese to the meat and mix well until the cream cheese is melted through and mixed throughly. 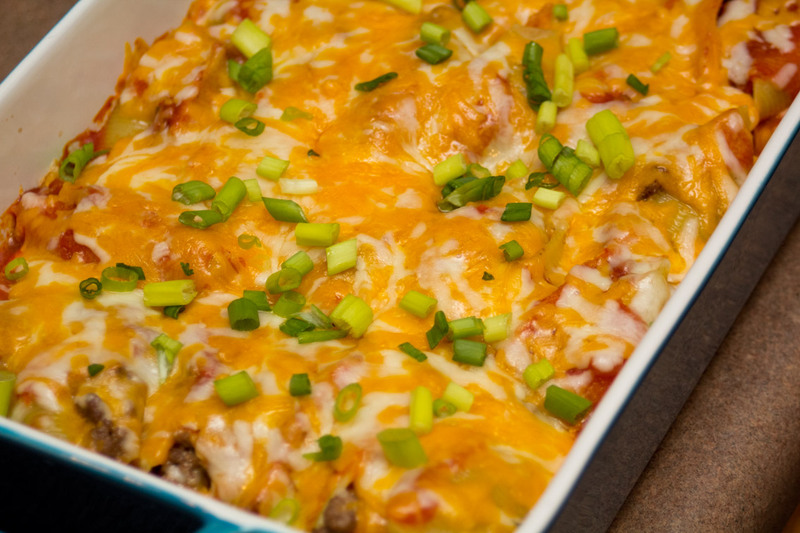 Pour the salsa in the bottom of a baking dish (9×13) and then start filling the shells with the meat and placing them face up in the dish. 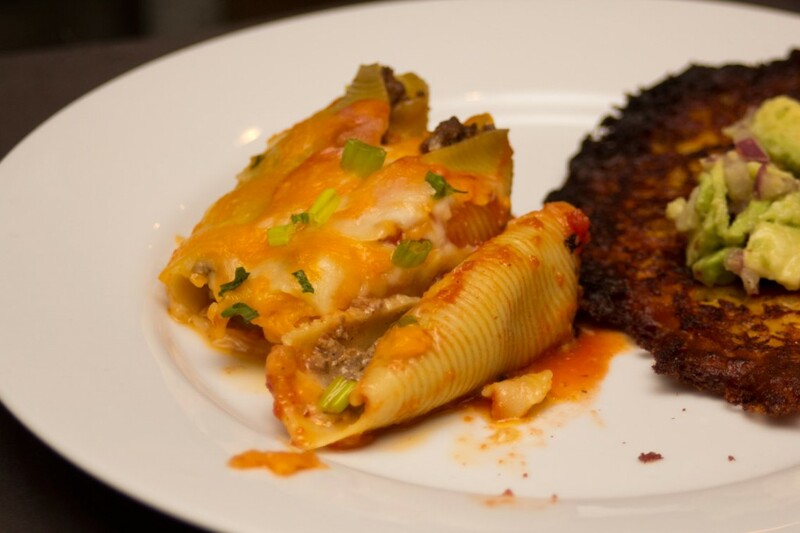 Pour the El Pato sauce over everything, then cover the dish with foil and bake for 30 minutes at 350°. 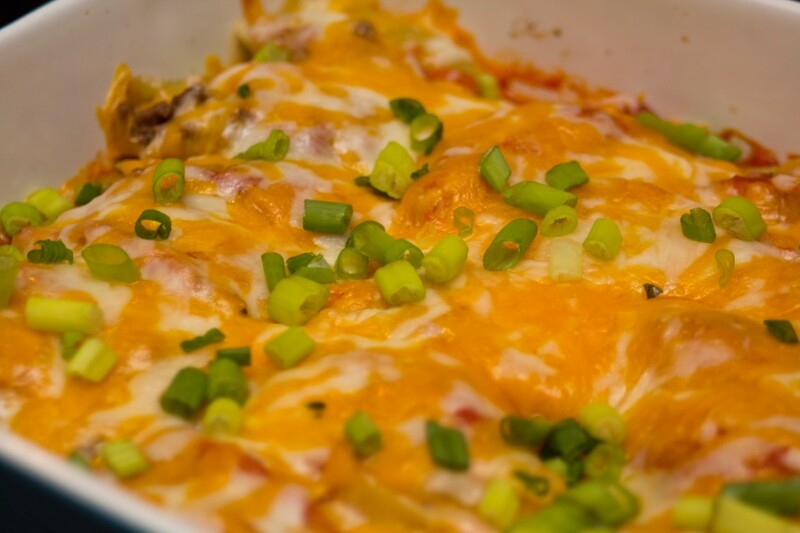 Pull it out and add the cheese & optional green onions on top of the shells and bake uncovered for another 10 minutes. If you like it more spicy you can add Crushed Red Peppers into the meat mixture. 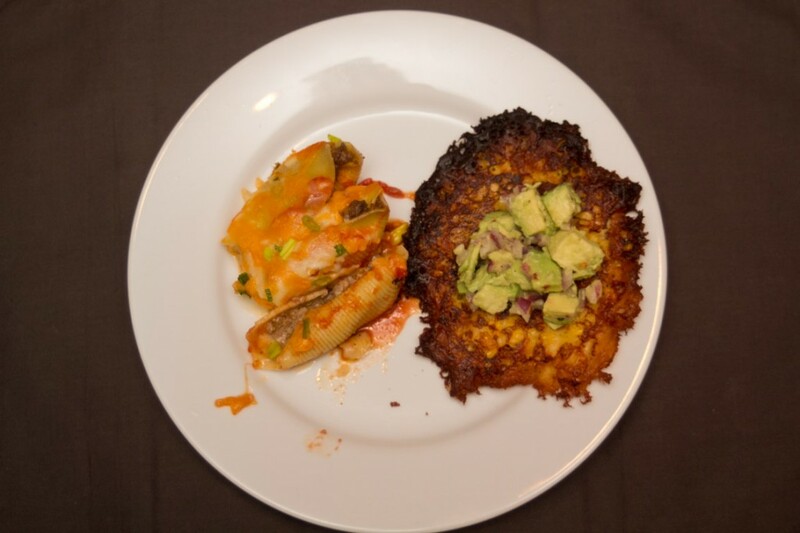 In the picture this is served alongside Mexican Corn Cakes with Spicy Avocado Salad.